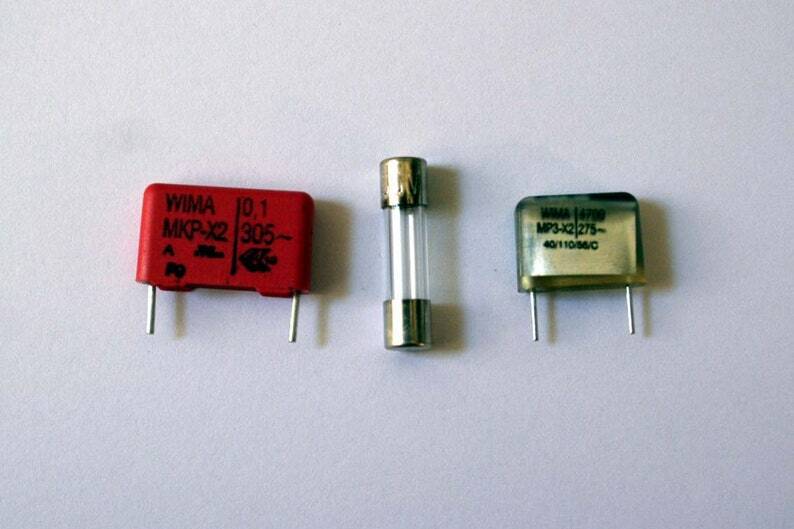 In many machines the original capacitors are still present. As these age with time they may explode when switched on after a long time (no joke, see picture). To insure that it doesnt happen and maybe damage other parts in the machine you should have it checked or exchanged just in case. Disclaimer: I am not associated with the writer of these instructions and do not take responsiblity for the instructions being correct. Capacitors´ look may vary from photo. I take no responsibility for any alterations by soldering or use etc. Due to a worldwide postal agreement, products can no longer be sent by letter post and must sent as product shipping which (sorry, sorry) costs more. Any amount above € 1,- will be refunded after shipping. Anything under € 1,.- covers shipping material and obligatory recycling charge as required by german government.